Removals in London, EU Moves and Much, Much More! Moving is tough. We know – we do it every day! That’s why London Removals is your best choice of all the removal companies out there. House removals and office removals almost always involve more than you are prepared for. But you don’t have to worry – we’ve got everything you could possibly need, whether you’re moving abroad or just around the corner. 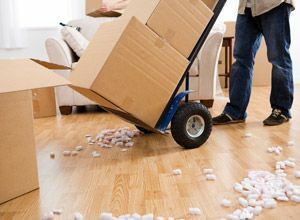 Take the time to truly evaluate your removal needs, including the amount of time you will need to pack up your things and all the small details that must be considered. But don’t go it alone, click here for some great tips on preparing for your move. There are many reasons to hire a removal company, the least of which is to reduce your stress when it comes to moving day. But did you know that we can also come to your home or office prior to moving day to make an assessment of what you will need? 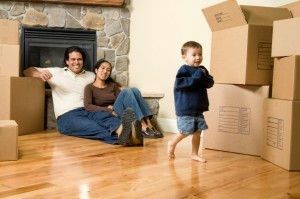 That’s right, we will assess not only the type of van or truck that your move will require, but also how many movers will be needed to do the job, as well as the type and number of boxes and packing materials that will be right for you. When you hire London Removals, you’re getting guaranteed quality, professionalism and years of experience all rolled into one. We don’t just show up and start lifting boxes, no. We’ll go over the removal plan with you, including an inventory of everything we are transporting. You’ll know the route and expected time of arrival, since all our trucks and vans have state-of-the-art GPS systems. No more waiting around for your things to arrive to your new home or office. Why drive all over town to buy expensive items for packing, such as tape, labeling markers, stickers and boxes, when you can have all this delivered right to your doorstep… and for a great price? We offer everything you’ll need, and at great prices, too. Our overhead is low, and we pass the savings on to you, so you won’t be paying any hidden fees or extras for your packing needs. You can choose items individually or select a packing kit, which comes complete with everything you’ll need to pack your belongings safely and efficiently. No more late-night runs to the store because the tape ran out or you don’t have enough bubblewrap. You can choose your kit based on what you will need, so you won’t be left high and dry when it comes to packing, nor will you have tons of leftover materials that will simply take up space in your new place. Whether you are downsizing, moving abroad or just need a space to keep some things while you travel for a while, we have it all. Our safe and secure storage facility has different levels for different clients. Maybe you need access to your belongings every other day, or only on weekends or once a month. Maybe your items are valuable and must be kept in a climate-controlled area. Or maybe you are heading off on a trip and need short-term or long-term storage. Whatever your needs, consult with us when choosing a storage option – you won’t regret it. Have you measured all the spaces in your new home or office? Have you planned out where all the furniture will go when you arrive? Sometimes, house removals and office removals require some repairs and construction work before everything can be moved in. Storage is the best way to go if this is the case, so that you aren’t trying to squeeze too much stuff in a small space, while waiting for your new place to be ready. Believe us, it’s worth knowing where everything is and that you can access your things at any time, day or night. And you won’t be unnecessarily cramped in what is supposed to be your new sanctuary. Our years in the business and professional expertise combine to provide you with the best service possible, for EU moves, removals in London, house removals, or office removals, short-haul or long-haul removals, there’s nothing we can’t do. We know that moving is difficult. We also know that each move requires individual attention and there are specifics to every removal that must be considered. Office removals are a challenge, too. Your business needs to be up and running as quickly as possible, so you and your employees can get back to work and back to earning. Plus, office removals often involve the transport of expensive machinery, high-tech equipment and important documents. Our vehicles and movers are not only the best in the biz, but are insured so that you can rest assured. In our hands, your company’s property is safe. Don’t trust just anyone with your office removal – trust our experience and performance. You won’t regret hiring London Removals for your next office removal. If you’ve been called overseas for work, or if you and your family are moving abroad for something new and different, don’t get bogged down trying to find out all the details and customs arrangements – that’s what we’re here for. We will help you assess the best way to transport your items internationally according to your budget and timeframe, so there will be no surprises. Well, moving abroad usually entails some surprises, but we’ll make sure there’s nothing to worry about when it comes to the safety and security of your belongings. You don’t want to arrive at your new home just to hear that your things have been held up at some faraway border! That’s why we take care of the details ahead of time, including planning the route – and we consult with you all along the way. Keeping our clients apprised of all details ensures peace of mind, which you won’t get with just any moving company. Thanks to Moving Firm for the exceptional house moving service. The team covered everything and it made for a hassle-free experience.